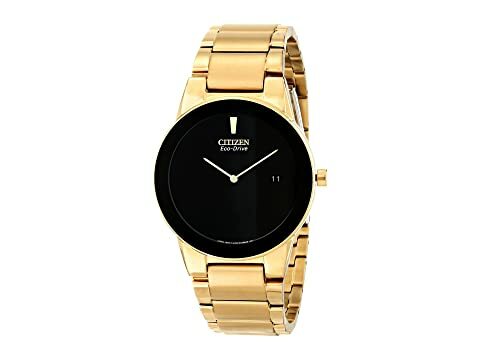 For a trendsetting and smooth silhouette, this timepiece by Citizen Watches™ is a sure ticket to success. Gold-tone bracelet with fold-over clasp closure and push-button release. 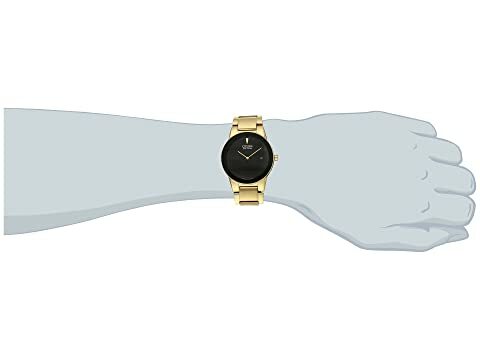 Clean black dial features gold-tone hands, date display window, and brand detailing.